"This morning the Supreme Court ... reaffirmed that all Americans are entitled to the equal protection of the law. That all people should be treated equally..."
A quiet civil rights movement is taking place in states across the country. Receiving far less publicity than marriage equality, you may not even be aware of the fight for equality by adopted citizens. Yet, more than 6 million U.S. born adult adoptees, in approximately 44 states, are denied access to their own original and authentic birth certificate that was issued upon their birth. One such state this is occurring in is Pennsylvania. After six years of adoption reform activists working with their state legislators, Pennsylvania HB 162 was to have provided an original birth certificate to adult adoptees at age 18 without condition. A standard provision was included to allow birth parents to request their contact preference. Now, however, to the dismay of the bill's supporters, Pennsylvania Adoptee Rights (PAR), the PA House Children and Youth Committee passed an amended version of the bill that is now on a trajectory towards the House of Representatives where it may receive deliberation and a full vote on the House floor. The amended version requires that adult adoptees requesting a copy of their original birth certificate (OBC) not just be 18, but additionally it requires that they have graduated high school, have received a GED, or have "legally withdrawn" from secondary schooling. None of these additional requirements, beyond age, are required of non-adopted citizens applying for their birth certificates in Pennsylvania. Requirements that apply only to adopted persons serve no purpose other than to make the proposed amended legislation discriminatory. More importantly, the amended version allows birth parents to redact their name from the non-certified original birth certificate before it is released to the adult adoptee. While the birth parent may withdraw their redaction demand at any time, there is no provision to notify an adult adoptee that they have done so. An adoptee who receives a redacted birth certificate can file a request with the Department of Health every five years to search for and contact the birth parent who filed the redaction demand and request that they remove it, as well as provide an updated medical history form. If it is determined that the birth parent is deceased, the adoptee will be entitled to an unredacted copy of their original birth certificate. All of these convoluted processes will be costly to state taxpayers. More importantly, they keep adopted citizens in a lesser, unequal category, treating them adoptees say, as "second-class citizens" all on the pretext of birth parents having been promised anonymity. No such promises, however, were included in any forms used to terminate or relinquish parental rights voluntarily or involuntarily according to a study of such documents by Elizabeth Samuels. Parents who relinquished their rights or had them terminated by the state could not have been promised anonymity because the birth certificates are not sealed upon relinquishment or termination of parental right. They are sealed at the time an adoption is finalized. Children who remain in the foster care system without adoption retain access to the birth certificate that names their birth parents. Any assumed "right of privacy" would concern confidentiality from public knowledge of the relinquishment, not anonymity from one's child. Adult adoptees in Pennsylvania, and elsewhere, are not seeking legislative changes to find or contact anyone. No adult needs permission to contact another in any other situation and there are sufficient laws to protect us all from harassment and stalking. Laws that apply only to specific sub-populations are discriminatory and violate the 14th amendment, which grants equal protection under the law. Search and reunion, PAR members point out, are being accomplished every day without birth certificate access via DNA testing and social media. Many reunited adoptees, including every adoptee on the Board of Directors of PAR, still want their authentic birth certificate and support every adoptees' right to have access with no restrictions that apply only to adoptees. What adoptees seek is the restoration of access to their own original birth certificate the same as all non-adopted citizens have, and as adoptees had in PA until 1985. These rights were taken away in most states during the 1940s at the behest of baby brokers who work better under a veil of secrecy. The justification was that secrecy would protect adoptees from the stigma of illegitimacy and protect adoptive parents who were counseled at the time to keep the adoption a secret. It is shocking that PA took this step as recently as 1985 and it is time they removed these barriers and treated adoptees with equality and dignity. 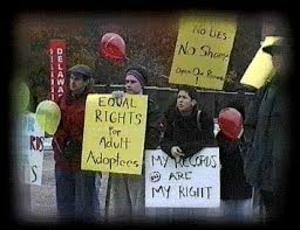 Adoption is no longer stigmatized. Today openness and honesty is encouraged in adoption and as President Obama said recently regarding our relations with Cuba: "We don't have to be imprisoned by the past." 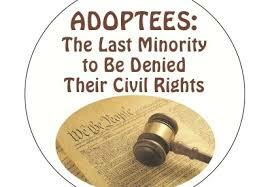 Pennsylvania Adoptee Rights no longer considers HB162 a bill intended to restore equal rights under law to adult adoptees born within the Commonwealth. While PAR supports the language of the amendment that ensures future generations of adoptees will have unimpeded access to their original birth certificates, we oppose name redactions, as this does not treat adopted citizens equally under the law. Therefore, we stand in opposition to the bill in its current form. The organization intends to suggest alternatives to the amendment at every point in the process that allows for revisions to be made. We believe in working with the Pennsylvania Legislature to ensure that future generations of adoptees will have access to their original birth certificates, but without denying original birth certificate access to adults and youth who have already been adopted. Should HB162 be voted out of Committee, PAR will release a call to action for adoptee rights supporters to encourage the PA House of Representatives to amend the bill back to its original form. Amanda Transue-Woolston, founder of PAR, who has worked on this legislation for six years says, "If our General Assembly isn't willing at this time to pass a bill that's fair to all adoptees, we will switch our focus to providing education rather than trying to pass legislation. We will come back and try again" at a future time. Adoption changes parental custody and in doing so eradicates one's genetic familial history by sealing the original birth records and replacing it with a falsified birth certificate that lists the adoptive parents as the parents of birth. Adoptees, activists say, deserve to have unrestricted access to their authentic original birth certificate in the same way that all others can obtain theirs, simply because it is theirs. Adoptees were born like everyone else and they were issued birth certificates just like everyone else. No one has a right that supersedes that very basic human right.